CipherLab Connection | March 2019 - CipherLab Co., Ltd.
information. Located in Southern California with 9 stores, they are continuing to open new stores and expand their presence. Originally, the end user adopted Datalogic Falcon and Zebra MC9090 as business tools for warehousing-related tasks. However, when they started to migrate and update their back-end system, the inquiry of a new device also came up to fulfill those new functions required. BRdata Enterprise Suite was the new management system that was brought in for the tasks like pricing, labeling, ordering, inventory, cost control and etc. The workers usually completed these tasks directly on handheld device via wireless connection. With qualified support, CipherLab 9700 had high credibility. 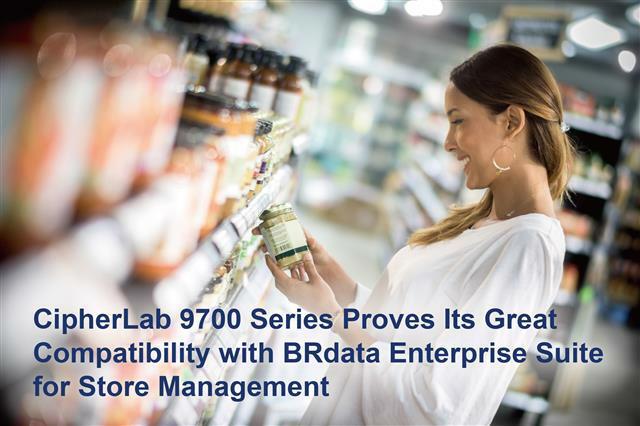 CipherLab 9700 was recommended by BRdata to replace those out-of-date terminals. The 9700 came with various options of keypads and operation systems to make sure its compatibility with different management software including terminal emulation. Its Ergonomic design in dimension and weight combined with pistol grip, allowed workers to operate all day with less fatigue. Meanwhile, 9700’s bright yellow frame design made it easier for workers to find even when it’s mixed with other clutters. the business has a very busy warehouse every day. Optimization of the pick, load and ship process is always the primary task. In order to make the process efficient and increase workers’ productivity, the hypermarket looked for voice picking solution for better warehouse operation. CipherLab RS50 series was chosen for this solution. Voice picking, a solution that decreases the time workers walk around the warehouse aisles to collect items. Audio instruction is given to workers via headset after item and location information is translated into audio commands by the backend voice picking software. Clear audio instructions eliminate the time to linger around and improves the efficiency and accuracy for case or carton item collections. In addition to the voice picking software, a medium hardware device for this application plays an important part. Barcode scanning, stable WiFi connection and microphone noise cancellation are the primary hardware functions needed in this application. Workers use the device to scan barcodes of certain items they need to collect. Data is then transmitted to backend system via WiFi connection. The exact quantity and location information for the item will be given to workers after it has been translated into audio commands. CipherLab RS50 series is equipped with all these required functionalities. Its versatile data collection supports 1D and 2D barcodes with comprehensive abilities to capture data in milliseconds. The IEEE 802.11 a/b/g/n/ac of RS50 assures stable WiFi connectivity within four-wall environments. Also, due to the noisy environment in the warehouse, the noise and echo cancellation is required to allow clear and precise communication. Together with the headset and vocal vest, CipherLab RS50 perfectly turns into a great solution for the hypermarket. Thanks to the close connection between our partner and end users, we had a clear understanding of the demands and the best solution was therefore provided. The deployment of CipherLab RS50 improved the efficiency and helped increase productivity in the warehouse. connectivity and communication equipment for industrial, building and civil engineering. It is dedicated to continually update and optimize its products and services to meet the needs of a diverse range of clients and installations. It has four logistics centers with over 30,000 sqm storage area in France. 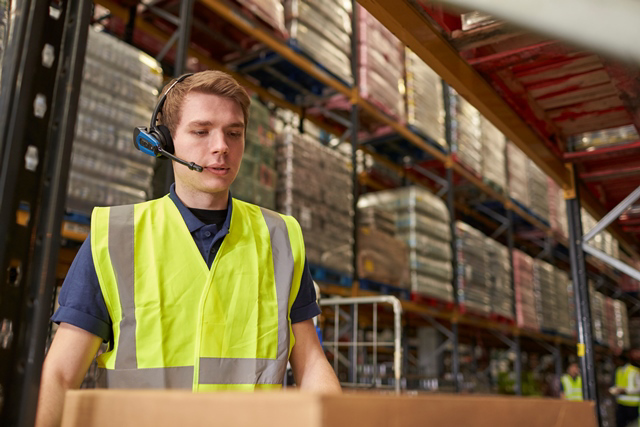 Having recently updated the WLAN environment in its warehouse, the company also wanted to update its WMS device to a reliable rugged mobile computer, packed with mid-range data capture capability. After evaluating the rugged handheld mobile computers on the market, CipherLab 9700 was introduced by its system integrator. The company picked CipherLab 9700 as it is equipped with near/far 2D imager, which provides data collection in hard-to-reach places. Moreover, the readers have a special modular design that allows for fast replacements. The workers in its four warehouses use the 9700 to track its raw materials such as metal, ABS polymer and finished goods through the warehouses. It also helps with the controls of material receptions, expeditions, picking operations, transfers of stocks from place to place as well as final dispatch. 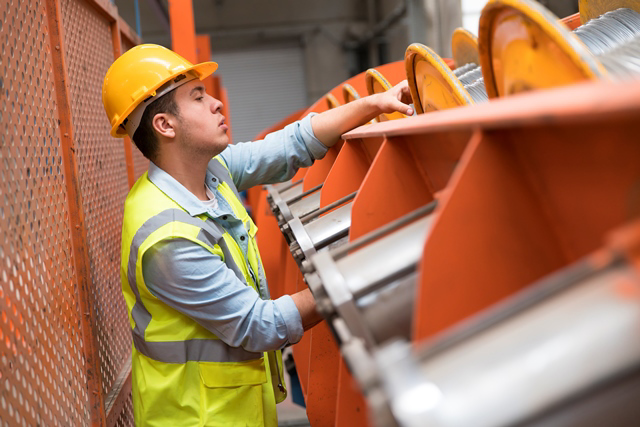 Data collected from the scanned barcodes is transferred via the warehouse’s WLAN network to the back office, ensuring full traceability of accurate products. The 9700 is robust and reliable for its WiFi efficiency for real time data transferring. Most importantly, the 9700 comes with accessories including a 4-slot charging cradle, pistol grip, vehicle cradle, rubber protection and so on. These accessories enable the workers to work with ease, whenever they are on the premises. CipherLab is extending the UHF RFID functionality of the RK25 mobile computer. The recently launched RK25 UHF RFID reader adds RFID reading capability onto the RK25 mobile computer - bringing productivity and efficiency to inventory management tasks in a simple and cost-effective way. The RK25 UHF RFID reader is a compact and high performance RFID solution. When users snap the RK25 onto the UHF RFID reader, its measurements of 181.4 cm x 85.3 cm x 162.9 cm bring great comfort. With its circularly polarized antenna and wide range RFID frequencies, the RK25 UHF RFID reader supports high-speed reading with the ability to read +700 tags per second and a reading range up to 8 meters. It provides high performance and accurate RFID tag captures in its class. 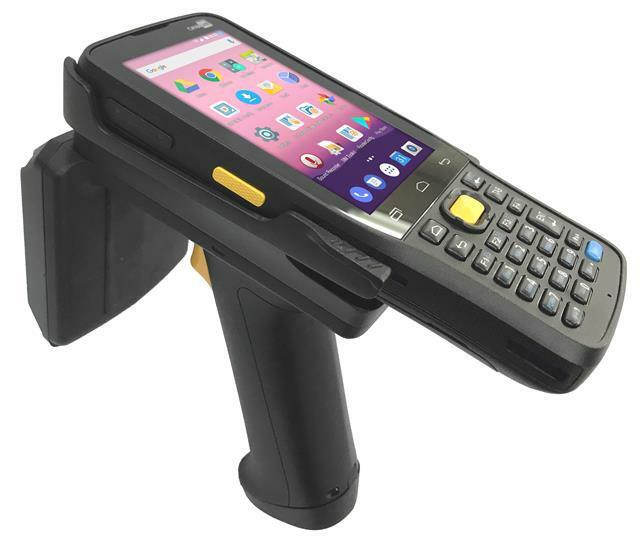 When combined with the RK25 mobile computer, users can now enjoy versatile data capture functions such as 1D/2D barcodes, NFC and RFID tags that reflect retail environments today. Users can easily toggle between RFID and barcode scanning on the fly. Available with RFID SDK, EZ Config, and EZ Edit, the RK25 UHF RFID solution allows users to save time on set up and deployment of RK25 UHF RFID reader upon their applications. The RK25 UHF RFID reader is most suited for inventory checking and asset management in the retail, supply chain and logistics sectors. Its durability features a 1.2 meter drop resistance and an IP54 rating that protects it against water and dust. For more info about the RK25 UHF RFID reader, please contact us. CipherLab participated in 2019 SIA Shanghai from February 26th to March 1st. We thank everyone who interested in our smart manufacturing solutions to help increase productivity and prevent misconduct. We hope to see you soon in the future events to discover new solutions together. CipherLab participated in Retail Tech Japan from March 5th to March 8th. Our advanced solutions and applications received warm welcomes from distributors and retailers. We thank everyone who visited us and showed interest in our products. Hope to see you soon in our next exhibition! CipherLab showcased our latest solution at Manufacturing Road Show in Thailand from March 6th to March 8th. Aside from our smart manufacturing data collection terminal 5300, we were also excited to exhibit our new RK25 series, built for users in the retailing, light warehousing and field mobility industries. The RK25 is a perfect mix of both multi-touch and physical keystroke operations. 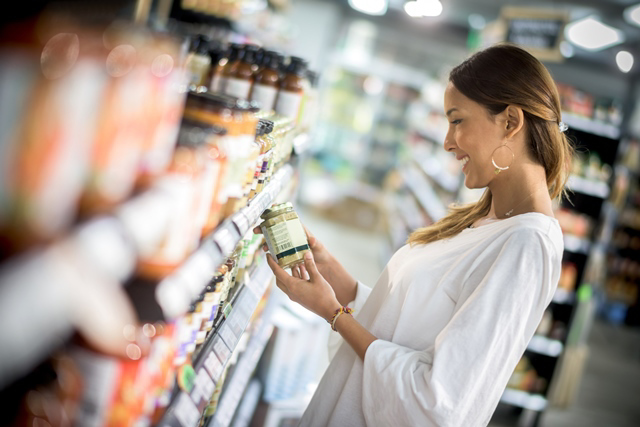 The NGA Show brought together independent retailers and wholesalers, food retail industry executives, food/CPG manufacturers and service providers for unparalleled opportunities to learn, engage, share, network, and innovate. CipherLab introduced the latest solutions, the RK25 mobile computer, 2200 RFID omnidirectional presentation scanner, self-service and mobile POS to the users. They were well demonstrated to all visitors, and we believe they could fully serve any demands from the front store to back storage. Stay on top of newly released software, breaking news and the latest information. GoBetween is your window to CipherLab's extensive support and update system. GoBetween will notify you when new information is released and allow you to access this information from various platforms. This is the tool that everyone needs to stay ahead of the times. c 2019 CipherLab Co., Ltd. All rights reserved. All specifications are subject to change without notice. All pictures shown in User Scenarios are for illustration purposes only.